This quality "notice no trespassing sign" is crafted from heavy-duty aluminum, is weather resistant and full-color. 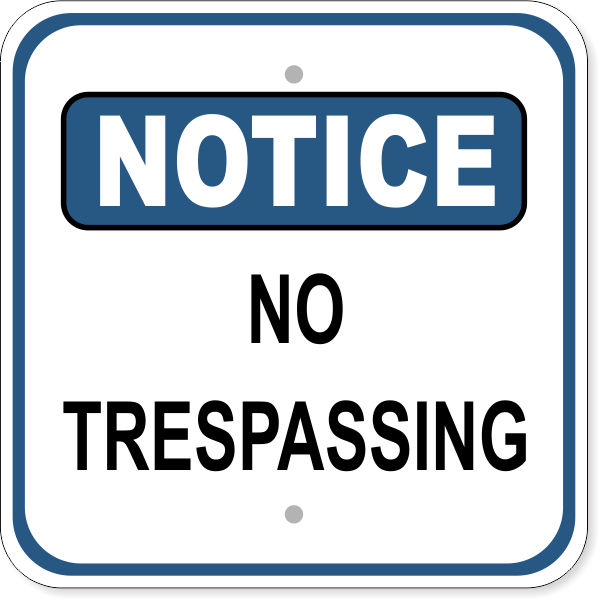 Keep unwanted visitors off of your property with this NOTICE NO TRESPASSING sign. This sign features bold all capital letters and measures 12 by 12 inches. This weather resistant no trespassing sign has 2 pre drilled holes and rounded corners for easy hanging.